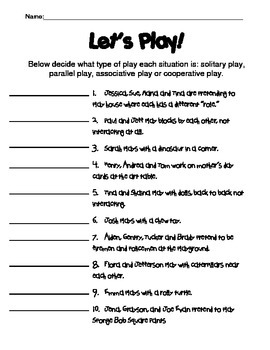 This worksheet "Let's Play!" has students try to figure out what type of play is happening in each scenario (solitary, parallel, associative or cooperative). There are 10 scenarios. This is meant for use in a high school family and consumer science child development course.